Pass a Talking Wall, swipe your phone on a nearby plaque or type the short url, and presto: your phone rings. And it's Chester Cathedral on the line, or the Booth Mansion, or the Grosvenor Museum! 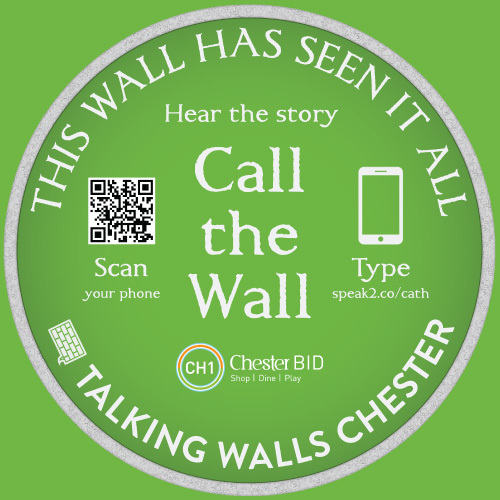 Talking Walls Chester is brought to you courtesy of CH1ChesterBID who represent over 500 city centre businesses. The project is produced by Sing London - the people who brought Talking Statues to the world.